26 years, 9 months, 17 days old age. Yuki Bhambri will turn 27 on 04 July, 2019. Only 2 months, 12 days, 10 hours, 11 minutes has left for his next birthday. Yuki Bhambri has celebrated the total number of 26 birthdays till date. See the analysis by days count and bar graph. 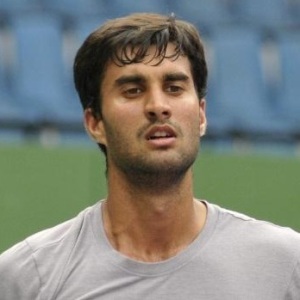 Yuki Bhambri was born on 04-07-1992 in New Delhi, India. He is an Indian Tennis Player. Yuki Bhambri’s elder sisters named Sanaa Bhambri and Ankita Bhambri were tennis players and watching them playing tennis, he too started playing tennis at the young age of 5. He was instrumental in taking India till semifinals in the Junior Fed Cup which was held in Mexico. At the age of 16, he became the only Indian who has won the singles junior title at the Australian Open in 2009. Since he won the juniors title in 2009, he was given a wild card at the 2010 Australian Open. He bagged a silver medal at the Youth Olympics in Singapore. He also represents the country at the Davis Cup ties. He won his first ever Challenger title after winning Uzbekistan Open in 2012 where he defeated Amir Weintraub. He made it to the main draw of Australian Open Men’s double in 2014 and advanced to 3rd Round. In 2014, he won 2 bronze medals at the Asian Games. One in singles event and the other one in Doubles event. The following year he made it to the main draw of Men’s singles at the Australian Open but lost in the first round to Andy Murray. In 2016 too he qualified for the main draw but this time he lost to veteran Thomas Berdych in the first round. He is a huge admirer of tennis legend Rafael Nadal and is currently coached by Aditya Sachdeva. Off the court, he loves playing Cricket, Football and Golf. He supports the football club Manchester United. He was born to Indu and Chander.